One of the first lessons our youth can learn as they go through the Doctrine and Covenants and Church History is how to listen to the right voice. From the very beginning of his work as a prophet, Joseph Smith is taught this very important lesson: that listening and following direction from Heavenly Father is the first and only priority. Learning to distinguish between the voice of God and the voice of the Adversary, to listen to the voice of God over friends, and finally to obey God over one’s own desires; Joseph Smith faces all three challenges very early in his work. 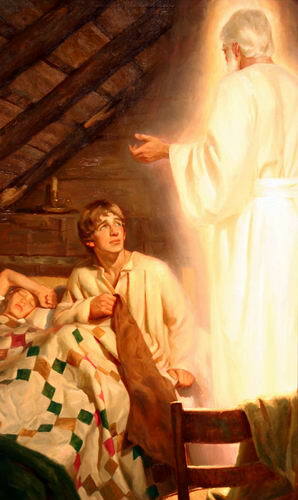 In Joseph Smith History verse 28 Joseph writes that he is of very tender years – it is 1823 and Joseph Smith is 17 years old. These are tender years… but our youth at this age think that they are experienced and advanced. Joseph is in a position where he truly cares most about pleasing his Heavenly Father. If he were in our seminary classes he would be the ideal student. Joseph is warned that he will be tempted to use the plates for material gain. He is warned three times this night and again the next day. When he goes to obtain the plates, he fails. He momentarily lost his mind- he forgot to pray always and had a determination fixed in his mind… this is one of the weaknesses of not only youth but of mortals in general. I have spoken with youth and adults who, in a moment of weakness have related how they temporarily lost their ability to reason, or lost their focus and made some pretty bad decisions. There are many illustrations which teach this principle that are relevant to young people. One illustration would be a youth who knows what is right but desires a boyfriend/girlfriend so desperately as to forget counsel… it is as if there is a fixed determination. Sometimes an individual has such a desire to obtain wealth they are swindled and make foolish choices with regards to their finances. What was Joseph’s folly? How did he change in just a few moments from a young boy of tender years with no earthly cares to one who let the wrong voice affect his heart? Oliver Cowdery gives us a glimpse into the situation with counsel that has great application to the youth of the Church today. Learning to listen to the right voice will take some experience. The scriptures provide the backdrop from which to pull valuable experiences, stories which teach principles that help making right decisions easier. Leaders of youth in the Church have this experience. It is important for the youth to see that their leaders have this experience. By listening to counsel of leaders and scriptures, youth will have an increased likelihood of making correct choices. I would say to the young people of the Church, if I had my wish, because you are just like Joseph Smith, tender years- you are very easily led astray, you lack experience. Who listens to the Lord’s voice, who has experience? Prophets! I wish you could always listen and follow the voice of prophets. 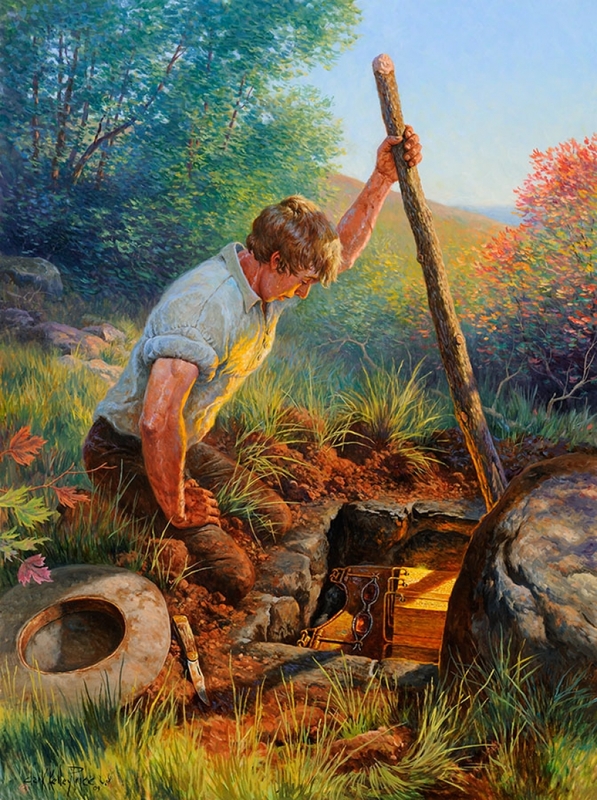 This entry was posted in Joseph Smith History, Principles and tagged Church History, ideas to teach LDS youth, making choices, making decisions, principles in scripture, relevance of the scriptures. Bookmark the permalink.